Welcome to my Best Montessori Books I Own Series: I highlight four Montessori books including Teach Me to do it Myself, Montessori activities for you and your child by Maja Pitamic; How to Raise an Amazing Child The Montessori Way by Tim Seldin; The Essential Montessori Updated Edition: an Introduction to the Woman, the Writings, the Method, and the Movement by Elizabeth Hainstock; and Awakening Your Toddler's Love of Learning by Jan Katzen-Luchenta. Some of these books are available at your local library, as an ebook on Kindle, and or used and new on Amazon.com where you can add them to your wish list or purchase them on the spot. The Introduction includes: a Preface; "Who was Montessori"; "How to use this book"; and "Frequently asked questions" (seven in all). There are five chapters with activities you can do at home or in a classroom setting: "Life skills, Developing the senses, Language development, Numeracy skills," and "Science skills." Each activity has a picture, a numbered list of directions, a list of "You will need," and "Other activities to try." Most activities include a "Tip box," a "Word activity" (language), and a "Safety Point." In the back of the book are worksheets to use (copy) for making several of the activities shown in the book. The "Life skills" chapter includes: activities for personal hygiene, dressing, polishing, pouring, spooning, tonging, open close, threading, weaving, sewing cards, and cutting. The "Developing the senses" chapter includes: activities for exploring textures and objects and learning about shape, size, height, length, color, sound, smell, and taste. The "Language development" chapter includes: guidelines to help you select books for your child and guidelines for reading to your child; activities for word play, phonics and learning the letters of the alphabet, word building (Moveable Alphabet), and picture cards (Reading Tablets); making phrases, sentences, a diary, a book, a family tree, and a picture poem. 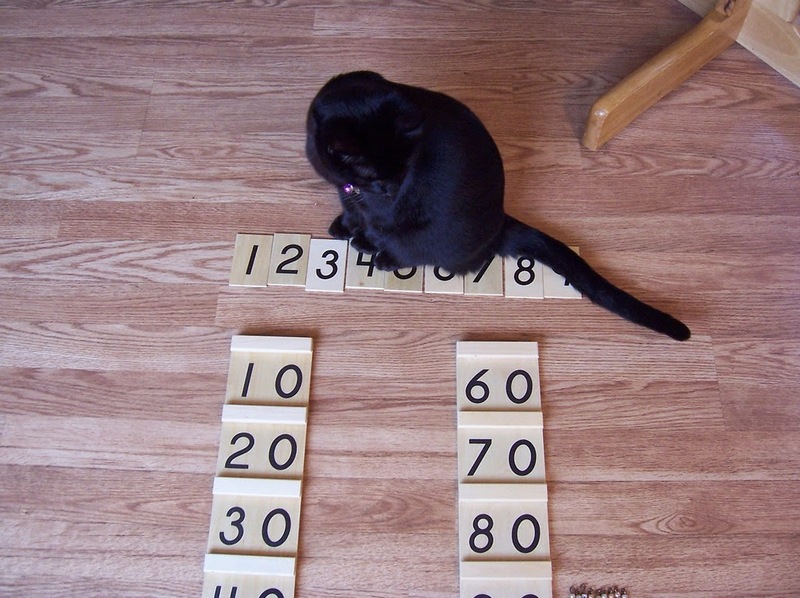 The "Numeracy skills" chapter includes: sorting, counting and learning numbers one to ten, number sequencing, simple addition and subtraction, introducing money, and number songs. The "Science skills" chapter includes: leaf collecting, flower puzzle, planting, understanding volume, float and sink, the weather, geography including globe and map and land forms, mixing colors, and baking. Learning height and length (similar to the Number Rods). Make color copies, enlarge them, cut them out. Two-dimensional shapes: geometric shapes, in black outline, of circles, squares, and triangles from largest to smallest. Make a copy and cut out shapes or make two copies for matching shapes. Identifying letters: alphabet letters in black and white lower case shown on the line. Make copies and cut out. You can also color them in using red and blue markers or colored pencils for the Moveable Alphabet. You can also enlarge them when you make a copy for making the Sandpaper Letters. Word building: black and white cards with pictures and three-letter short vowel phonetic words (six cards for each vowel for a total of 30 cards). Copy and cut them out for a Reading Tablets activity, or your own language creation. You can also color the pictures in (recommended). Constructing phrases: a list of articles, adjectives, verbs, and prepositions. Make a flower puzzle: black and white drawing of a flower, and its parts in labels. I give this book five stars out of five. It is well organized, full of information, and easy to understand with nice photos and drawings. The activities are those found in Montessori classrooms and can be duplicated at home. I think it is ideal for ages 2 1/2 to 5. 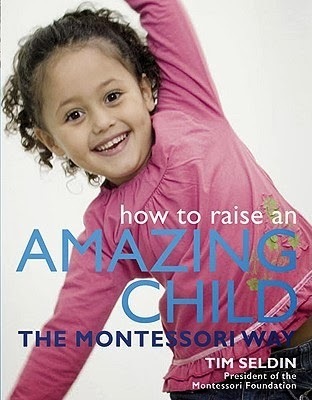 How to Raise an Amazing Child The Montessori Way by Tim Seldin. Published in 2006, it is one of the newer Montessori books on the market. This is a lovely book, with fantastic pictures and very well designed. (I would buy it just for the photos!) It is an easy read, and only 186 pages. 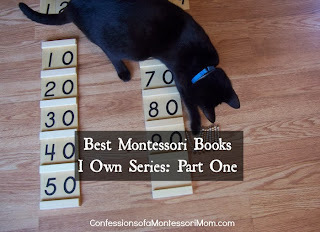 It is also Montessori at home friendly. It covers much of what you want to know about Montessori education with a simple, in-a-nut-shell style, including: "what is Montessori? "; "the sensitive periods for learning"; Montessori schools (about); Montessori from birth and "your growing baby"; "making your home child-friendly"; a Montessori style nursery; Montessori around the home; "discovery through the senses"; home-made Montessori activities to do and make at home; "keeping the peace" (how to handle negative behavior); Montessori outdoors; and more! It is, however, for families who are looking for an alternative and who may be interested in a Montessori lifestyle for the home. Buy new, 2nd edition HERE on Amazon. 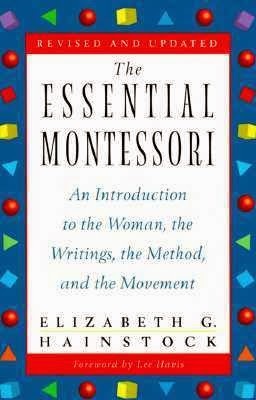 The Essential Montessori Updated Edition: an Introduction to the Woman, the Writings, the Method, and the Movement by Elizabeth Hainstock. It explains all the basic aspects of Montessori education in easy to understand terms. Another popular aspect of this book is how Hainstock makes Maria Montessori's sometimes dense and challenging to understand writings, more accessible. In fact, Hainstock is considered the first to "rewrite" Montessori philosophy and methodology to make it easier to comprehend. At only 127 pages long, you can read it very quickly. Awakening Your Toddler's Love of Learning by Jan Katzen-Luchenta. Published in 1998, this is a nice book if you have a child under the age of three. It also has cute black and white drawings. 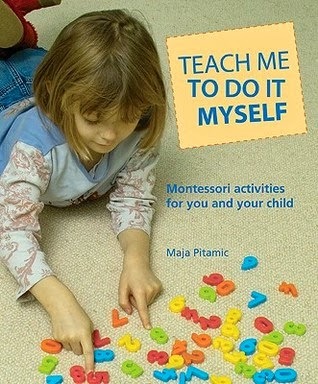 It is an easy read, and focuses mainly on the toddler years, and it is written by a trained AMI Montessori teacher. Another great feature are the 125 (albeit brief) activities described to do at home or in a classroom. She also has a DVD that I recommend, "The Making of Great Little People" that was filmed in her toddler classroom. Want MORE book recommendations from me? Go here! Before you go, please check out my affordable online Montessori PDFs and programs for birth to age nine! Need quality Montessori materials? Shop at our favorite Montessori seller (and our affiliate), Montessori Services!